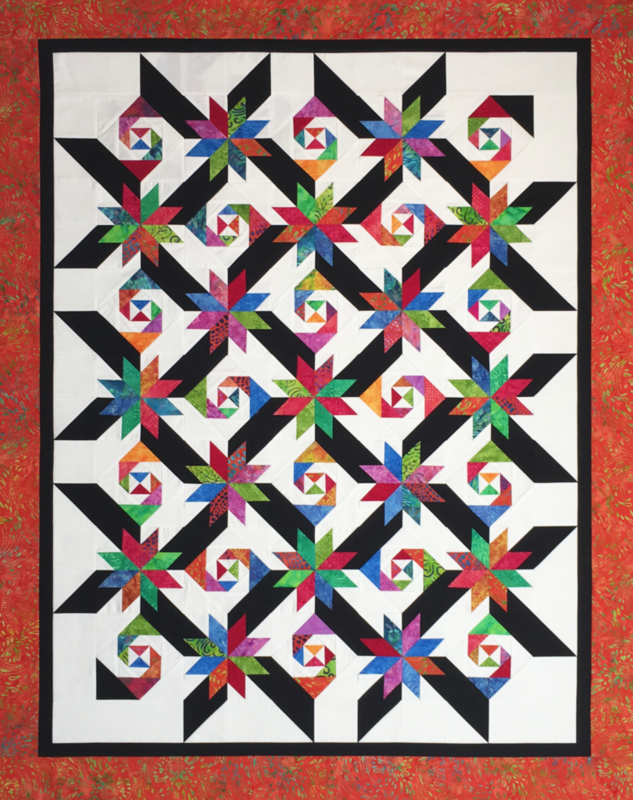 This is a beautiful quilt that showcases the Lemoyne Star and snail’s trail blocks. The pattern is designed as a companion pattern for the Rapid Fire Lemoyne Star and Large Square Squared tools by Studio 180 Design (tools required). Haven’t tried these great tools? That’s not a problem as Gail will provide instructions on their use in class. A great project using the greatest tools!